Manufacturer of a wide range of products which include toilet service unit and water service unit. NANDAN GSE Toilet Service Unit serves the customer with very much efficient handling and maintenance of aircraft lavatories, Toilet service unit which is used for the handling of the aircraft waste when on the ground. We have towable as well as Self Propelled versions. Several features that make our Toilet Service Unit a flexible investment are high pressure water pump, propylene couplings, large size manholes, filler breather, international grade flow meters and dump valve, SS tanks, dumping systems, meters make this a very important part of your fleet. 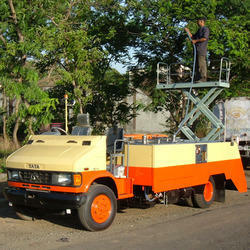 Our equipment are known for excellent quality, utility and reliability which appreciated by our existing clients. 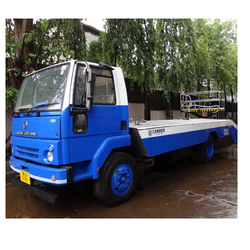 NANDAN GSE Self-propelled and towable Water Service Unit (Water Servicing Vehicle) are used to supply potable water to the aircrafts. Varieties of configurations are available. Our units are known to deliver efficient results and are highly energy savings .These are suitable for regional operations as they are very economical to own and operate, Built on the reliable Chassis ( Customer choice) the water service unit is designed for wide body operations and being economical for international flights. The product is designed with utmost care and with an eye on aesthetics, functionality and reliability and ease of maintenance.